1- Taking care of influencers on social media. 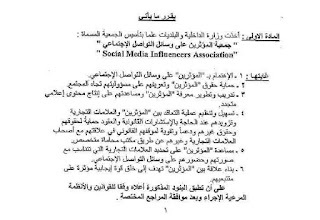 2- Taking care of the influencers' rights and introducing them to their duties towards society. 3- Training the infuencers and helping them produce innovative media content. 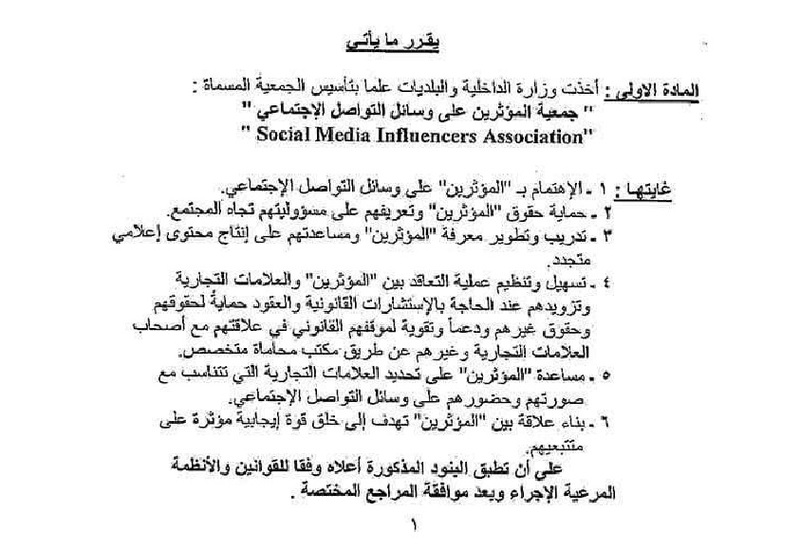 4- Facilitating the contractual operation between influencers and trademarks and giving them legal council and advice to protect their rights and the rights of other and strengthening their legal position vis a vis trademarks and others with the help of a specialized law office. 5- Helping influencers know which trademarks help with their image and their social media presence. 6- Building a connection between "influencers" which helps produce a positive force on their followers. Those are certainly laudable objectives for the association. The decree does not state however under which brand auspices the association falls. And as of yet no sponsorship was declared.